I sure wish I had a better photo of this one. I had to snap it at 4:30am when I finished, and you really NEED daylight for a good photo. The barbed wire was my favorite part. 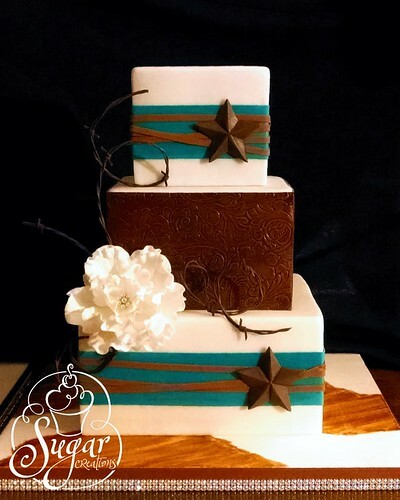 It was gumpaste formed freehand and the Texas stars were also gumpaste cut freehand.